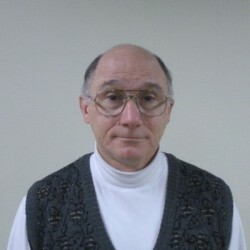 Mark, a graduate of the University of Illinois at Chicago, served for 23 years in the United States Marine Corps where he held a variety of instructional billets. Following his retirement from the Marine Corps, Mark co-founded the Chicago School of Woodworking and taught 101 for 10 years. When I was in High School I bought my first table saw and began making small jewelry boxes and other small wood items. In 1987 we went to the Madison Art Fair in Wisconsin. I saw a woodworker making wooden boxes. At this point, I knew I had the skills to design and build my own wooden boxes. I bought some exotic woods and tried making small boxes. They did not turn out very well, so I burned them in our fireplace. In spite of this, I went ahead and bought walnut and maple and tried again. This time, I was satisfied with the results of my design and creativity. I started doing mostly elliptical shaped bottoms with sculptured tops. My first art fair was in Chicago near Water Tower Place. A Scandinavian Airlines pilot stopped and examined one of my boxes and purchased it. I was delighted. Since then, I have made and sold over 2000 boxes. I mainly sell them at high-end craft stores throughout the United States. I have been published in a book called “The Art of The Band Saw” written by Mark Duginske. Nick Artemakis has been building custom speakers for over 40 years. 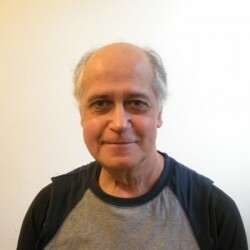 A woodworker and hopeless audio electronics tinkerer, he established Electric Woods in 1986 in the Ravenswood neighborhood of Chicago. A somewhat “eclectic” woodshop, Electric Woods has offered a wide range of quality custom cabinetry, furniture, finishing, and furniture repair, but always specializing in custom speakers and entertainment centers. 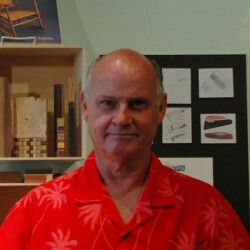 Wayne Barton is a professional woodcarver living in Park Ridge, Illinois. His interest in woodcarving first kindled at the age of five by his Norwegian grandfather, and he has had a love for woodcarving all his life. 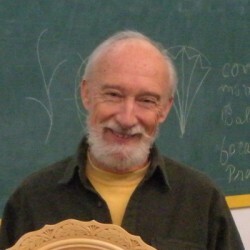 Mr. Barton took his formal training in the woodcarving center of Brienz, Switzerland, and his carvings can be found in private collections in Europe, Asia and North America. He is the only American to have his chip carvings in special exposition at the Swiss National Museum in Zurich, Switzerland. 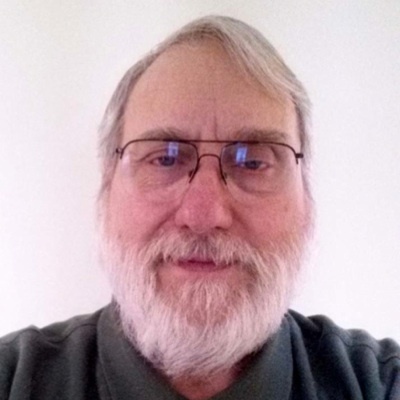 For the past 22 years he has been a columnist for Chip Chats, Fine Woodworking, Woodcarving Illustrated, and other magazines. 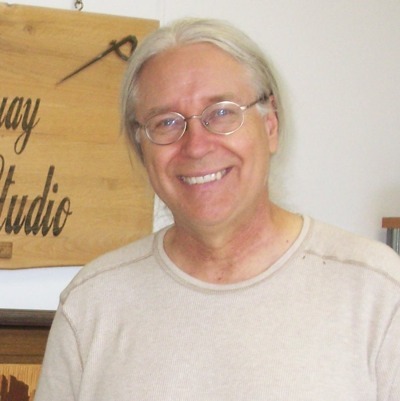 He has written five popular books on woodcarving and has made a number of appearances on The American Woodshop with Scott Phillips and The Woodwright Shop with Roy Underhill. 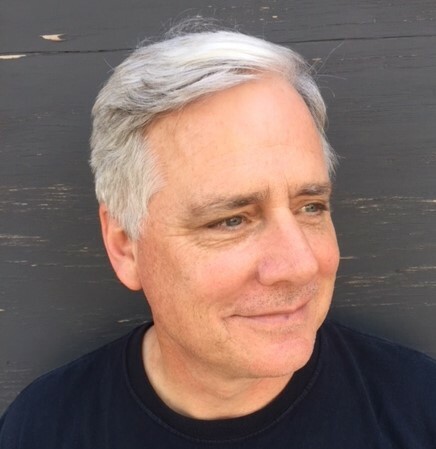 Tom Cray has a BFA in Industrial Design from the University of Illinois and an MFA in Woodworking and Furniture Design from the School for American Craftsmen at the Rochester Institute of Technology. His training led him to work as a high-end cabinetmaker for several years and then as a new product development manager for 25 more. In addition to teaching at the Chicago School of Woodworking, he also conducts occasional workshops at the Evanston Rebuilding Warehouse. When he isn’t teaching, he is working away in his own shop building furniture, including period reproductions and his own designs, as well as designing and building boxes featuring marquetry. Sarah has always enjoyed making things and working with her hands. After leaving laboratory research, she needed another outlet and began as a student at the school in 2008. She was hooked and started working on independent projects immediately after completion of the classes. Since then she has continued to take classes to improve and expand her woodworking skills. 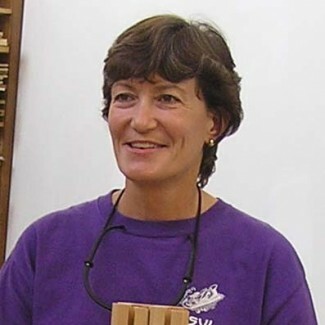 She has been teaching the 101 class since the spring of 2018 and has enjoyed rediscovering a love of hand tools. 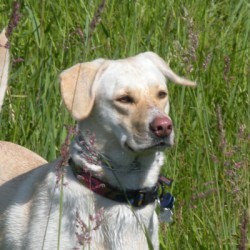 In addition to woodworking, Sarah loves to play in the woods and to dig in the garden. Andy Kuby is an architect and real estate consultant who has always been involved in carpentry, woodworking, woodturning and construction. In the 1980’s he contributed to the renaissance of the New York real estate market as residential architect and personally renovating a 100 year old brownstone for his own use. Four gut renovations in two states followed, all with his family in residence. Beds, tables and cabinets were all fabricated as required. 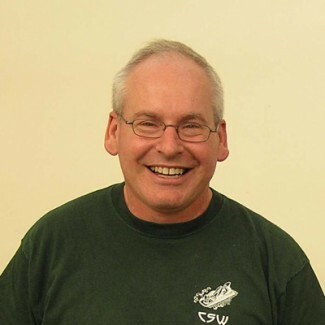 Mr. Kuby is a member of the American Association of Woodturners, the Chicago Woodturners, an occasional demonstrator, part time instructor and mentor. He is still working on his 10,000 hours but making progress. Working with wood has been a lifelong pursuit which started at a very young age when my Dad, who owned a custom cabinet business, handed me a broom and said “sweep”! After this beginning, I learned to appreciate the beauty and flexibility of wood as a design medium while I learned the fundamentals of cabinet construction and safely using woodworking tools. This interest in woodworking continued into adulthood with a focus on furniture design as a part time passion while I paid the bills as an engineering manager. After over 30 years of making furniture and cabinets as a past-time, I discovered woodturning in 2006 and l have never looked back. Combining my interest in precision woodworking and a newly found passion for woodturning created a perfect storm that resulted in my fascination with segmented design. I am currently the president of an international association called the Segmented Woodturners where we strive to advance the art and craft of segmenting. As a child, I was always fascinated with woodworking. I would make small items with very basic hand tools. When I was going off to college a neighbor, helped me make a set of speaker cabinets that I could take to school. This really got me hooked on working with wood. After graduating from Lake Forest College, I spent the next 40 years working for IBM. When it was time to retire from IBM, I decided it was time to pursue my dream of woodworking. I took some money and outfitted a second two car garage, on my property, with a very nice set of shop tools and started a custom wood working business. It was there, over the next fifteen years, that I honed my woodworking skills. I started by making outdoor furniture, and migrated to installing hardwood floors, custom interior trim, and finally custom cabinets. I have built many kitchens, entertainment centers, mantels, bench seats and custom built-ins for customers, remodeling contractors and new construction builders. The last two years, before moving back to Chicago, I taught Cabinet Making at place called the TechShop in Raleigh. While there, I also learned how to use a CNC router to make cabinet parts and carvings. I am very happy to be back in Chicago and I look forward to working with our current and future students. Clint Stevens is a woodturner who has had a passion for wood since before graduating Utah State University. After a career in engineering he opened a woodturning studio and gallery in Chicago’s Edgewater neighborhood where he tackles architectural and artistic woodturning projects. Over the years Clint Stevens has benefited from regular studies with woodturners from around the world. 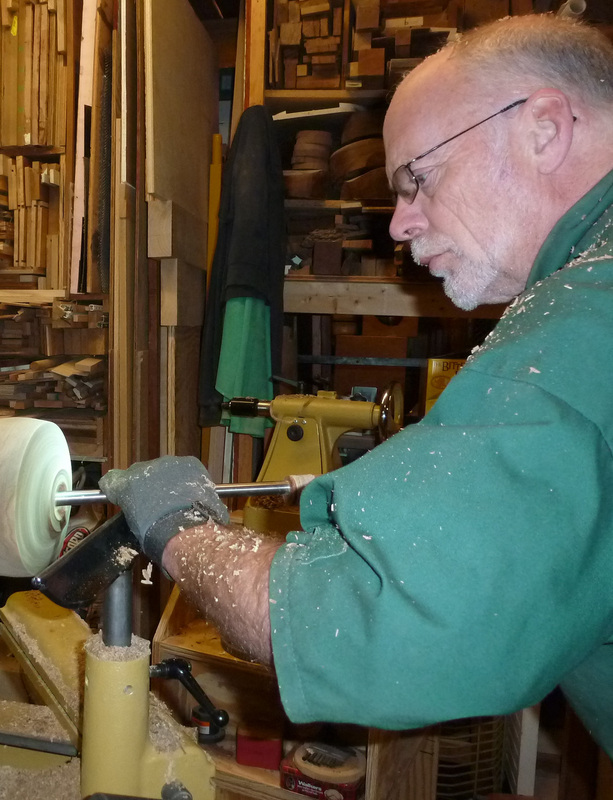 He has years of experience teaching woodturners in safe low stress environments where his students learn the joy of the lathe. 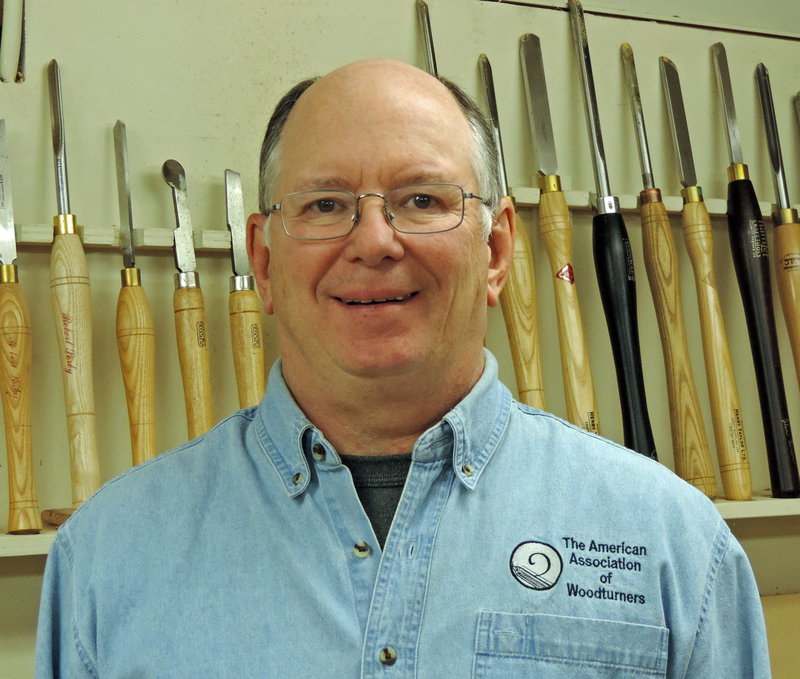 Clint is an active member of the American Association of Woodturners and the Chicago Woodturners. Mike Tipp is an award winning scroll saw craftsman and artist whose work is admired and appreciated wherever it is shown. Although he has had a lifelong interest in woodworking, he first started scrolling about ten years ago after seeing a scroll saw demo at a home center. Now he can be found most weekends and evenings in his home workshop “making sawdust” on one of his two scroll saws. Currently president of the Chicagoland Scrollers chapter of the Scrollsaw Association of the World (S.A.W.) Mike is thankful to his wife, Karen, for supporting his woodworking and to his dog, Beau, for teaching him about love in its purest form. 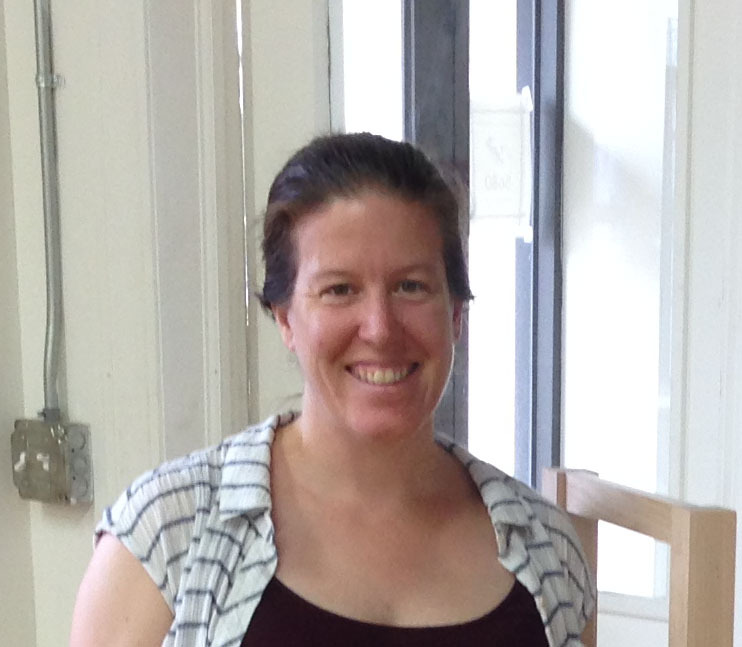 Queenie has been working at the Chicago School of Woodworking for over ten years now. Shaun adopted her from PAWS when she was 9 months old. Her perceived duties include serving as a canine alarm clock for Shaun and defending the shop from every dog that walks past her door. Queenie also provides dog therapy for those times when you should have measured twice. She likes long walks and belly rubs.